Another fantastic day! It was chance for volunteers to really get involved with a nature reserve right on their door step! Loads didn't even know there was a nature reserve in the centre of London. 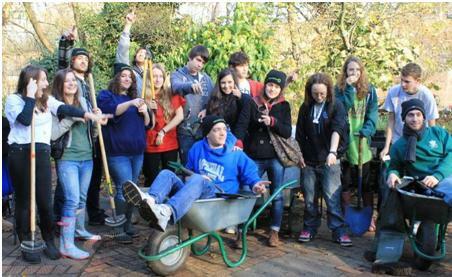 It was also Mitzvah Day, a Jewish day of social action and Interfaith Week. Thanks to all those extra hands on board we go loads done, the more the merrier, making the day all the more interesting and fun.